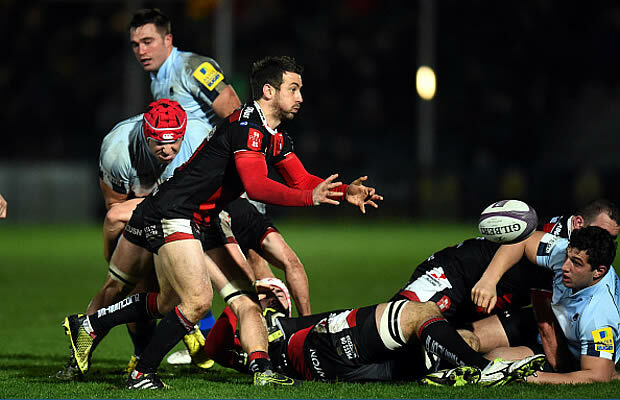 Nineteen unanswered second half points saw Moseley condemn London Welsh to just their second home defeat of the season for a 21-24 loss in the British and Irish cup at Old Deer Park. In Mach 2009, on their way to lifting the National Trophy at Twickenham, Moseley overturned an 18-point deficit against Welsh on the same ground, and the Birmingham side will be hoping that Saturday’s win is an omen that this could again be their year. Welsh, meanwhile, will need to pick themselves up for next Saturday’s much anticipated visit of Swansea. Tries from Ben Stevenson and Liam Gibson gave Welsh the early lead and while Richard Stott replied for the visitors, Gibson crossed for his second to see the home side take a commanding 21-5 lead into the break. But the Dragons would not add to their first half tally and Bevon Armitage touched down under the posts as Moseley hit the comeback trail. Ed Styles’ try and conversion took the Birmingham side to within four and with Welsh down to 14-men Ryan De La Harpe finished off a superb move to complete the fight back and get Moseley’s British & Irish Cup campaign off to a winning start. With Welsh’s ten try Championship rout of Moseley not too distant a memory, the Exiles began as if intent on racking up a similar tally. Paul Sampson’s jinxing run led to a penalty which Jamie Lennard pushed into the corner. A five-metre scrum resulted and Welsh scrum half Stevenson scampered over with Aled Thomas converting. Sampson and Stevenson epitomised Welsh’s lively start and Josh Drauniniu – the Championship’s leading try scorer – threatened to go the length of the field when released by Lennard’s miss pass. However, Styles then sidestepped his way through enough red shirts to remind Welsh that Moseley had not made the journey down just to make up the numbers. Saul Nelson intercepted and dived over, only to be denied his second try since joining Welsh from Exeter with referee Ross Campbell playing advantage to Moseley. With Welsh at times ponderous in attack, the away side were growing in confidence, but a training ground move by the Exiles then sent Gibson over under the posts. Thomas again did the necessary but Moseley replied immediately as Nathan Bressington broke down the right wing. A desperate tap tackle by Sampson brought the pacey Moseley wing to ground within sight of the line, but the away side had numbers and Stott touched down in the opposite corner. Styles’ touchline conversion attempt never threatened the posts. Moseley then turned down a kickable penalty in front of the posts, instead opting for the scrum, but when Welsh won the put in against the head one wondered whether they might rue not taking the easy three on offer. But buoyed by Stott’s try, another penalty took Moseley back into the Welsh 22 only for scrum half De La Harpe to go blind on his own and run in to Drauniniu. From the resulting scrum Stevenson led the break out, which included a beautiful dummy, before releasing Drauniniu, only for the move to break down on the Moseley 22. Welsh would end the half as they began it as Gibson crossed in the corner. Jonathan Fisher made the initial break and when he threw the ball back looking for support, Thomas picked up and released Gibson to score before adding his third conversion to see Welsh take a 21-5 lead into the break. With both sides keen to throw the ball around Epi Taione and Chevvy Pennycook both made breaks, before Moseley drew first blood. 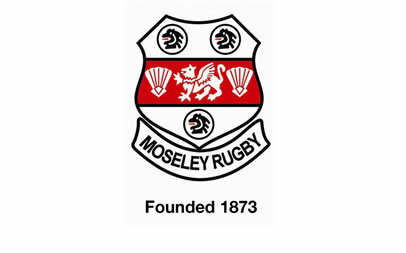 Good hands by Styles and Brad Davies sent Armitage clear to touch down under the posts and Styles added the extras to rekindle memories of Moseley’s previous cup turnaround at Old Deer Park. Against a misfiring Welsh, Moseley poured on the pressure but a succession of scrums just five metres from the Exiles’ line came to nothing as the Dragons held out.